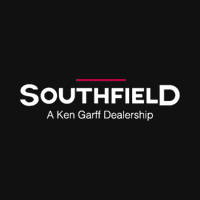 Trucks | Southfield Chrysler Dodge Jeep Ram " "
Recent Arrival! 4.0L V6 SMPI DOHC, 4WD, 16 x 7 J+30 Style Steel Disc Wheels, AM/FM radio, Front wheel independent suspension, Power steering, Power windows, Rear step bumper. Clean CARFAX.2005 Toyota Tacoma 4D Double Cab 4.0L V6 SMPI DOHC 5-Speed Automatic with Overdrive 4WDSouthfield Dodge Chrysler Jeep Ram is pumped up to offer this terrific, reliable 2005 Toyota Tacoma.Southfield Chrysler Dodge Jeep Ram became part of the Ken Garff Family in 2014. Our dealership has many satisfied customers from Southfield, Detroit, Bloomfield Hills, Farmington Hills, and Troy, MI. Our commitment to our customers begins from the moment they step into our showroom and test drive one of our new Chrysler, Dodge, Jeep, or Ram models or one of our quality used vehicles.